This was quick and delicious and I poured half the sauce and vegetables over my kelp noodles and half over the kids normal noodles – nothing was left in anyone’s bowls – just how I like it! In a processor, process until all ingredients are well combined. 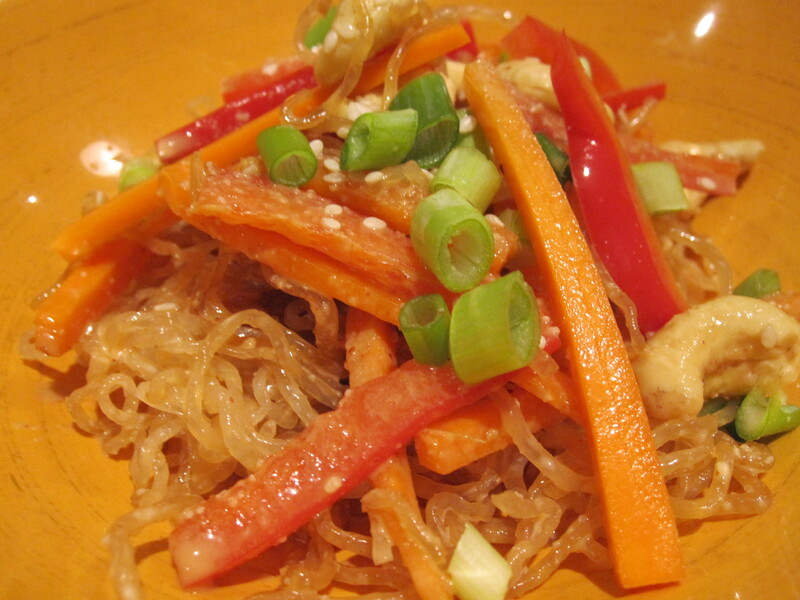 In a large bowl, combine the noodles, capsicum, carrots and sauce. Garnish with onions, sesame seeds and cashews. And then eat – yum yum yum! Hope your whole family enjoy this as much as mine did! Thanks Amber another winner for the whole family!